Trivandrum, 6 July 2011: After the news came out about the One Lakh Crore rupees worth gold in Sree Padmanabha Swami temple, the police has goofed up security in and around the temple. Police Commandos has taken charge of the security of the temple from yesterday. The government plans to setup a 175 member commando wing for the security of the temple soon. Advance security systems like CCTV cameras, sensors, etc will be installed inside the temple. A police control room has already been functioning near the temple. If decision comes to keep the treasure inside the temple itself, the government plans to setup high security storage systems too. Meanwhile the Travancore royal family has appealed in the Supreme Court to keep the Sree Padmanabha Temple treasure details secret. 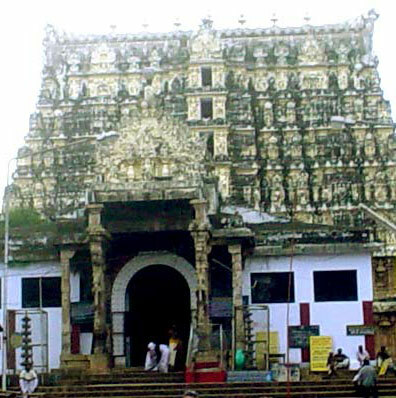 The second elder member of the family Sree Moolam Tirunal Ramavarma has filed a petition in the Supreme court to control the media from publishing reports about the Temple's wealth.